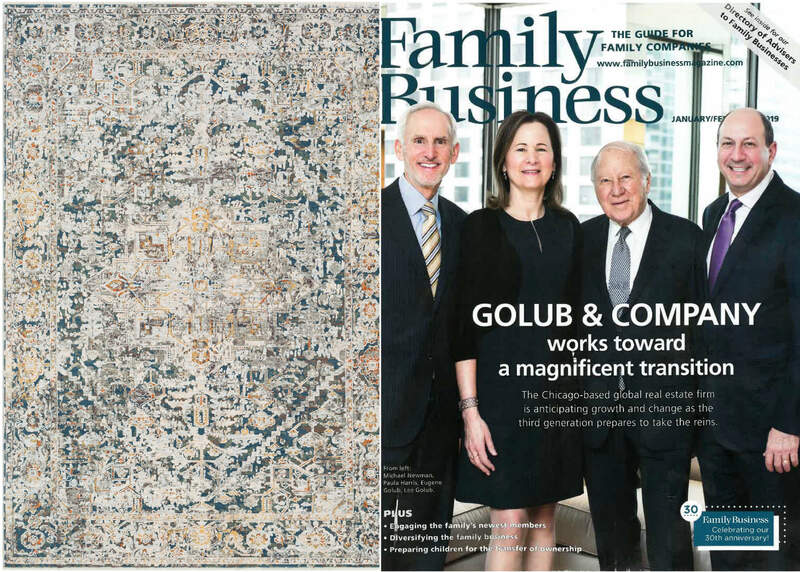 Surya president Satya Tiwari shares his insights into Surya's past, present and future in Family Business magazine's "At the Helm" feature. 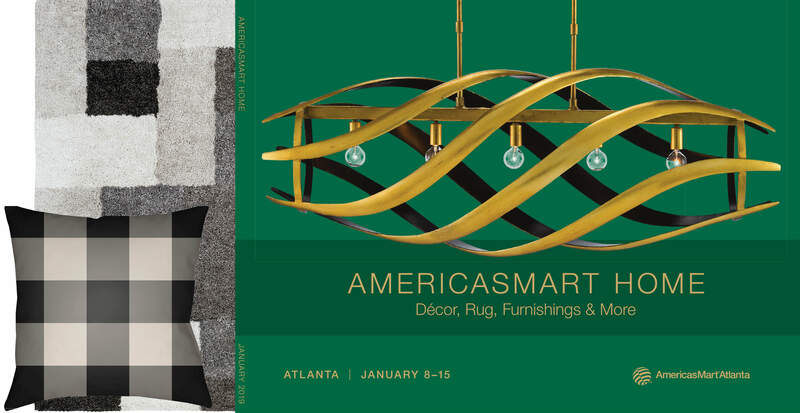 AmericasMart HOME's Winter 2019 edition spotlights whimsical dots and dashes in black and white palettes, such as Surya's Moroccan Shag rug, that are trending for the Atlanta winter market. 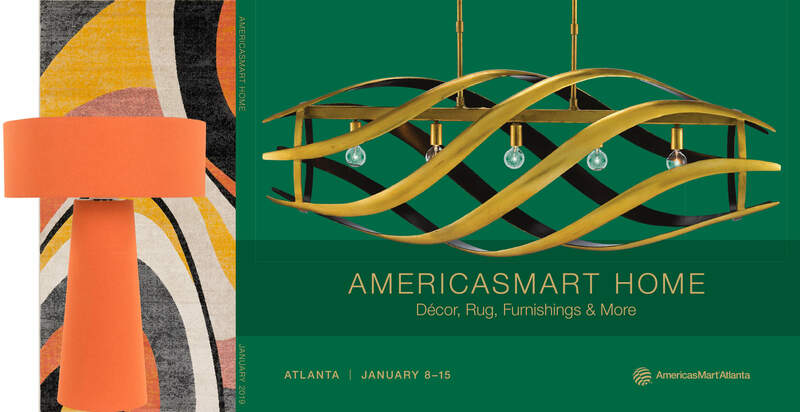 Surya's modern Bradley table lamps and new City rug shine a light on retro style in AmericasMart HOME's Winter 2019 edition. 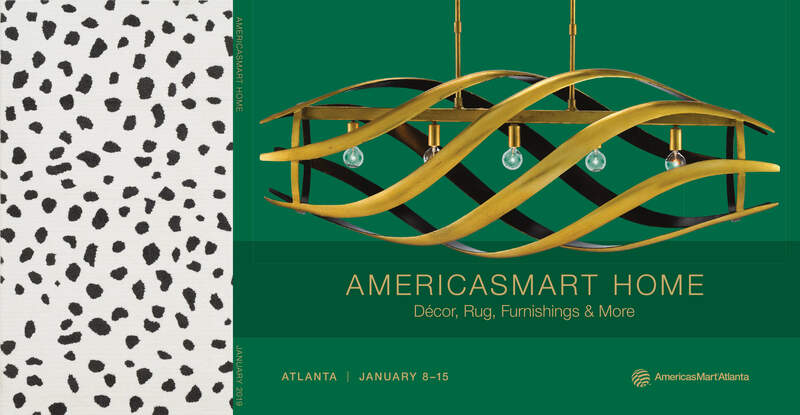 AmericasMart HOME's Winter 2019 edition showcases how timeless gingham print is in interior design with Surya's made-to-order Plaid pillow and other accessories. Colored glass and acrylic are thriving this season. 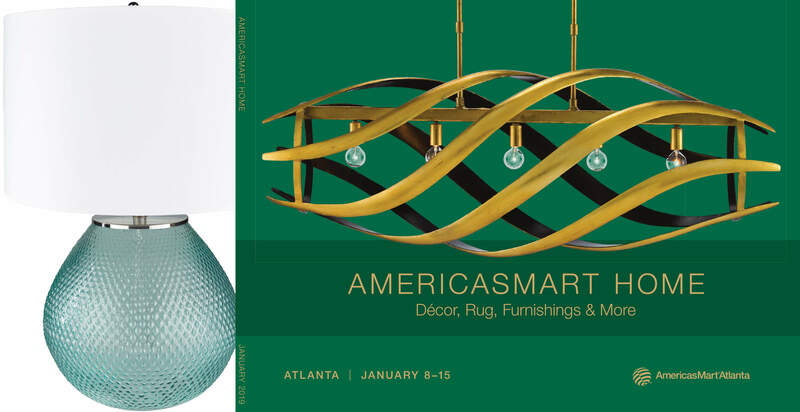 Surya's new Arlo table lamp earned its place for its aqua glass body in this AmericasMart HOME's Winter 2019 feature. 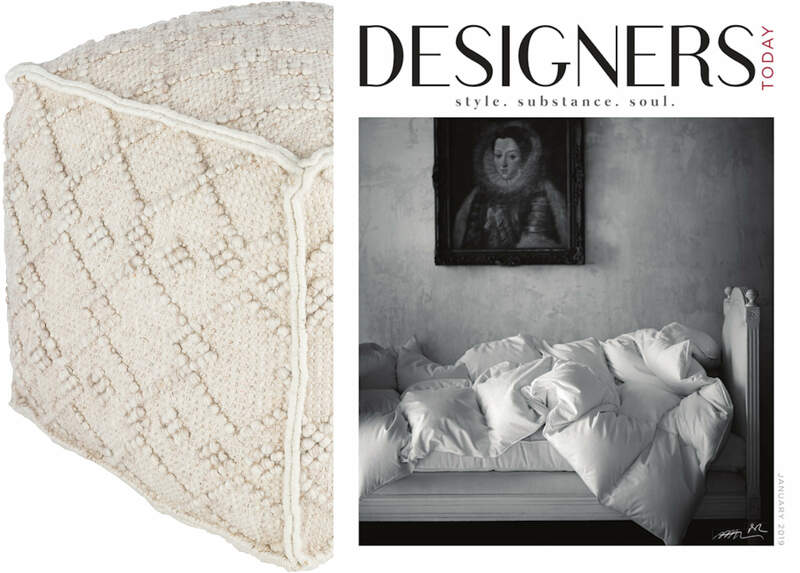 Designers Today features a cozy combination of winter white accessories, including Surya's new Hygge pouf, in its January 2019 issue. 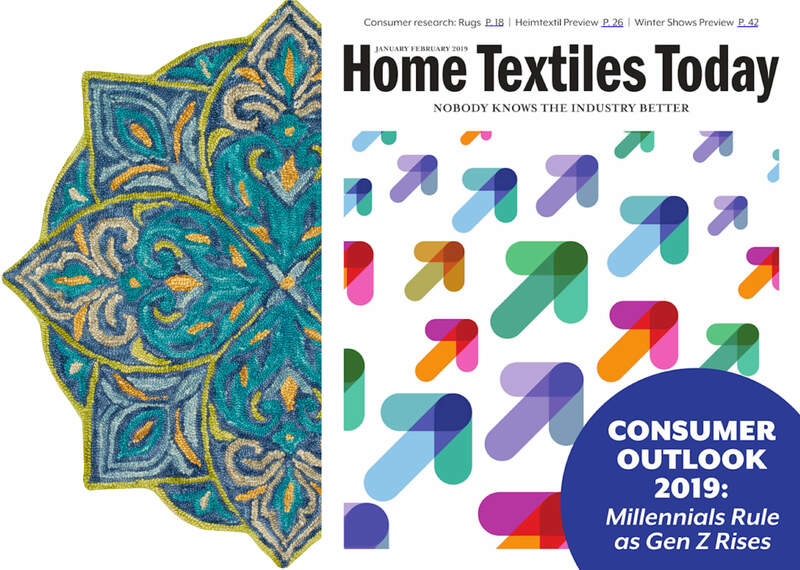 The colorful, starburst shape of Surya's new Bonifate rug stands out among the winter market introductions featured in the January/February 2019 issue of Home Textiles Today. 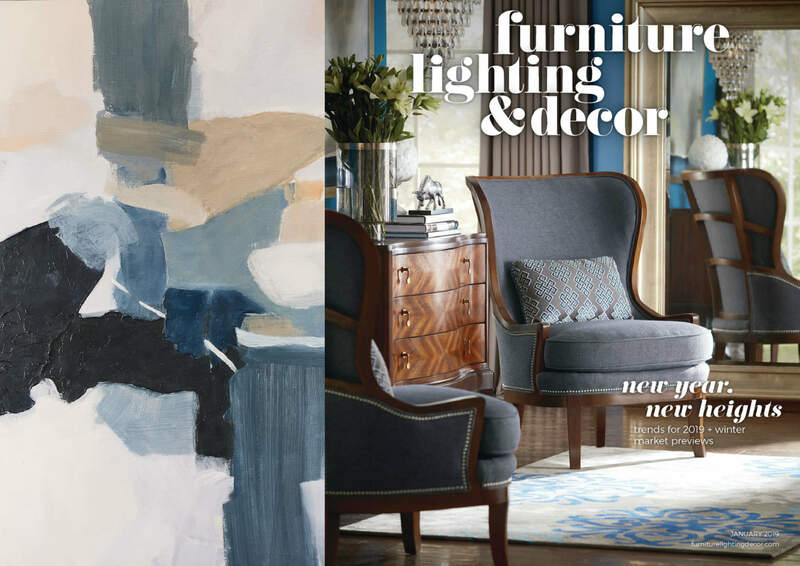 Furniture, Lighting & Decor spotlights one of the newest additions to Surya's Eternal art collection due to its modern abstract appeal. 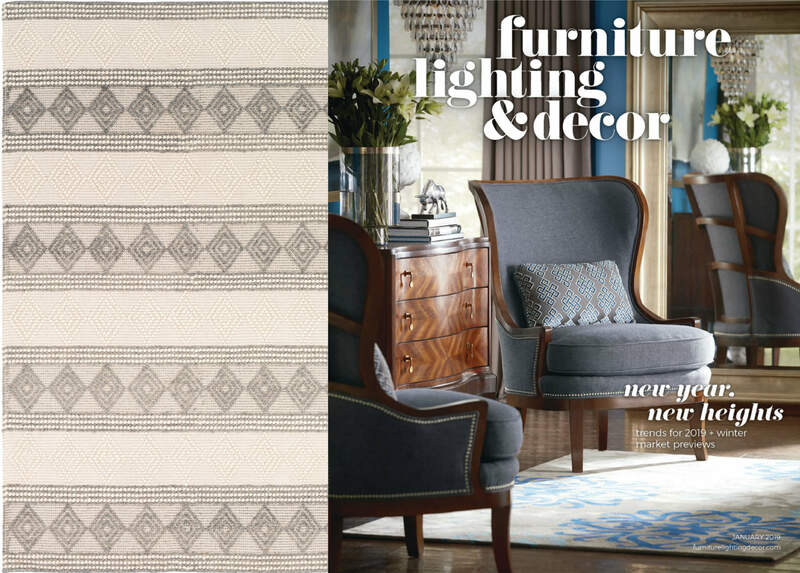 Furniture, Lighting & Decor captures the essence of Hygge interior design with Surya's new Hygge rug. 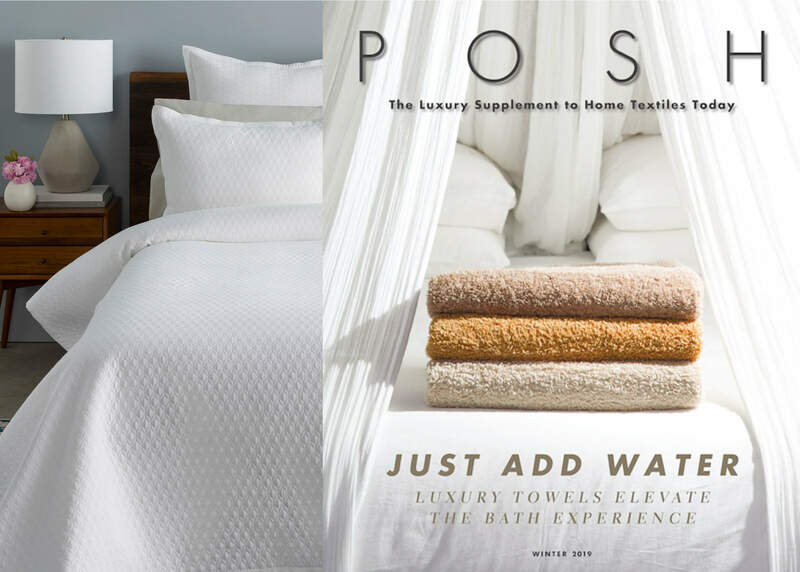 POSH by Home Textiles Today features comfy bedding, including Surya's new Briley bedding set, just in time for the winter markets.